Many have seen my tweet that included the following photograph. My wife says that I still pout when I say the words Active E… I swear that it’s a subconscious reflex. I suppose time will heal all wounds. 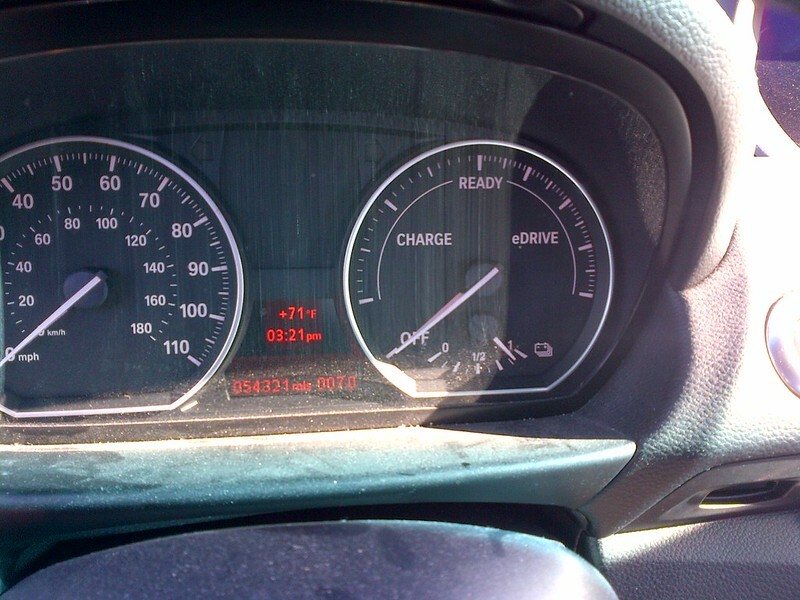 I’ve started to drive the Model S as my daily driver, but had to go ICE on Monday and Wednesday with the X5. 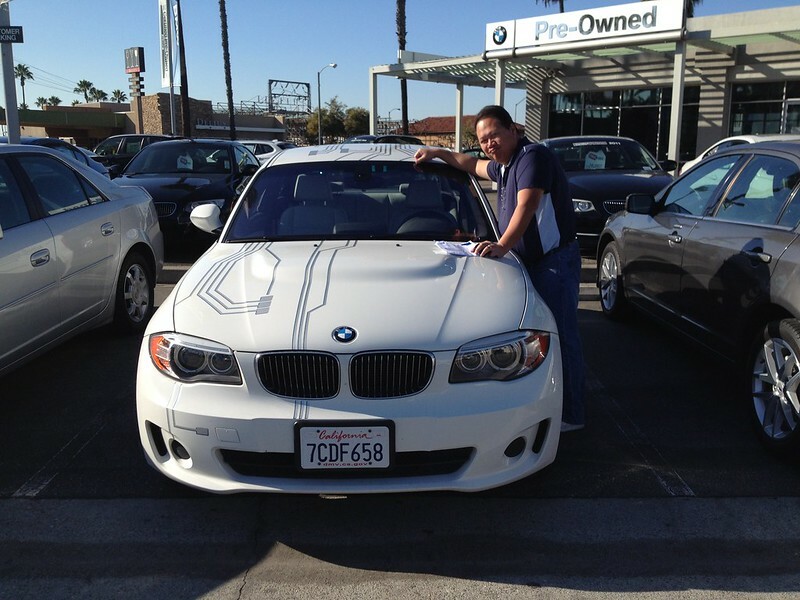 Apparently, aside from killing its battery last year, I have not brought it in for its service in the past two years (whoops)… So, I dropped off the X5 on Monday and picked it up on Wednesday. The Model S performed admirably (as it is prone to do) on Tuesday. A rather uneventful 170 mile day. I’ve done several days of 170+ days in the Active E before, but not nearly as uneventful as it is on a Model S. I can get used to this. I’m still getting used to the size of the S, but expect that to be fine after a few days. 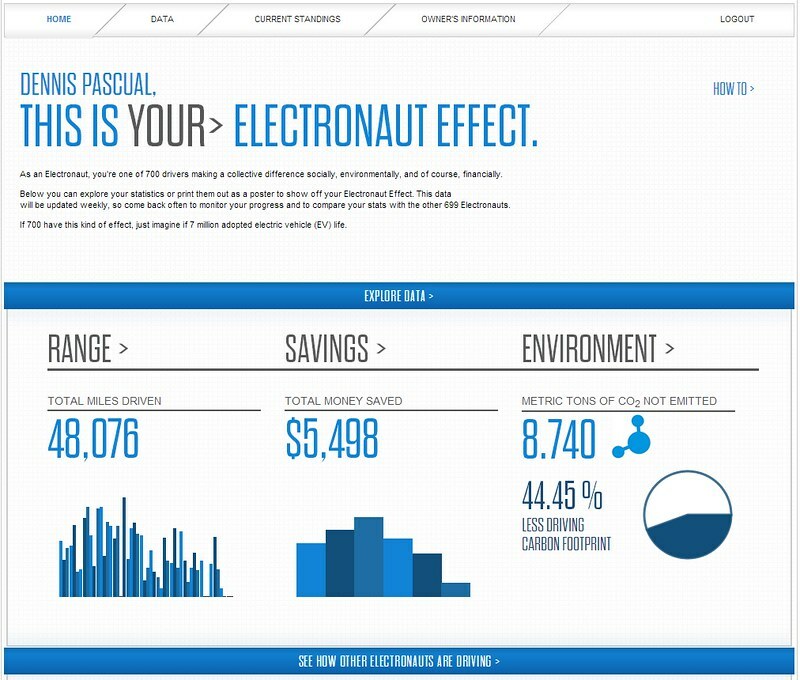 As many of you have previously read, I did a comparison of all three EVs a few weeks ago. Anyway. I’ve confirmed to drive 230 miles and join my fellow Electronauts in Morro Bay this Sunday for the West Coast Wake for the Active E and look forward to meeting up with fellow California Active E drivers and would like to thank Mariel Knoll for remembering to invite me since I’m not on Facebook and for George Betak, Jack Brown, and Tom Moloughney for organizing it. We’ll be commiserating and honoring our Active E at the event. Some will still be lucky enough to be driving their Active Es and some will be coming in with their next EVs. Anyway, hopefully the camaraderie will help ease the pain. I wonder when the East Coasters will be doing their Wake. 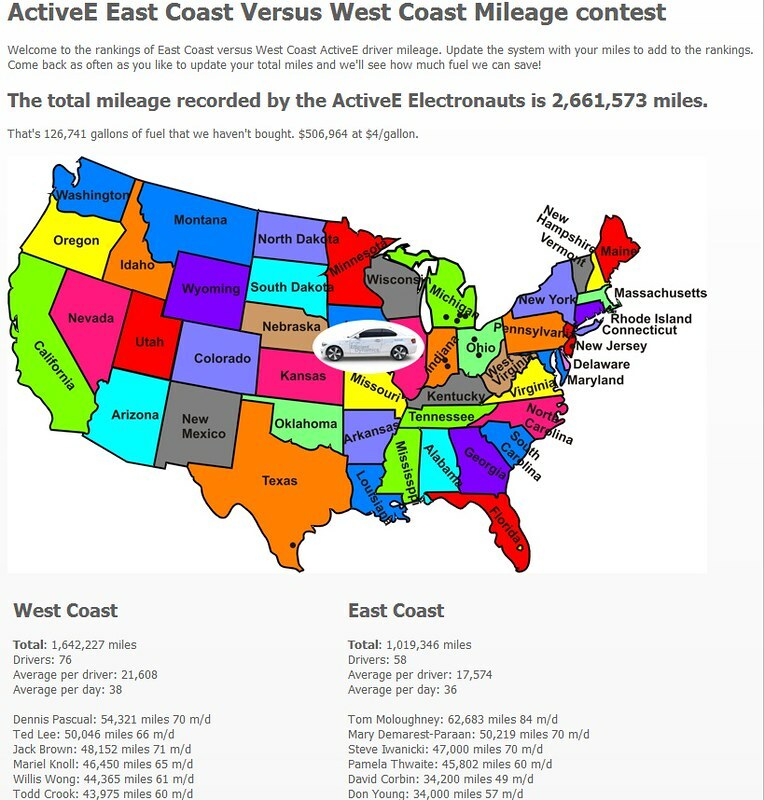 Hopefully I hold onto the lead in the West Coast wotnogas.com with my 54,321 miles. If not, at least I’ll have a nice countdown to my predominantly Tesla EV experience at this point. I’m planning on analyzing what the two years had cost me on the Active E, but need some time to heal until then. 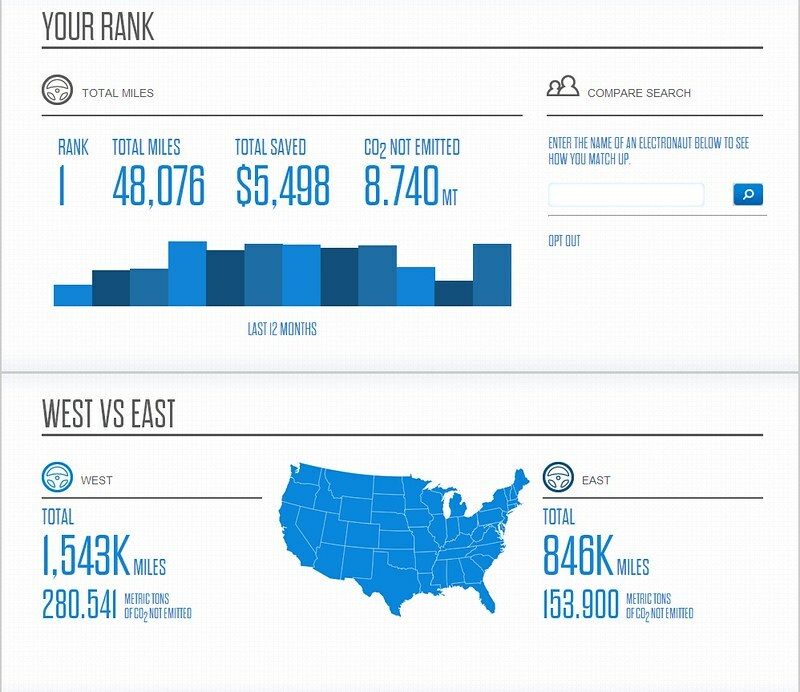 At least as of the 27th of February I have the lead on the BMW Electronaut site and the West Coast lead on wotnogas.com.